The present study analyses the temporal variation in the distribution of the number of fires, area burned and fire sizes in Catalonia using fire data from 1942 to 2002. The study shows variations in the distribution of fire size over recent decades, with a significant increase in the number of very large fires. 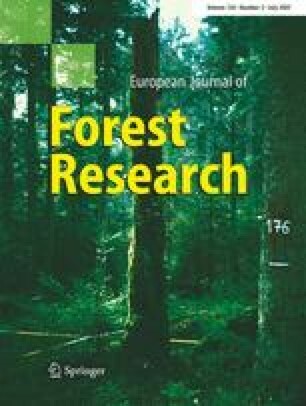 The study also analyses relationships between characteristics of the forest (altitude, slope, aspect, living fuels and species composition) and the probability of the fire occurrence. The analysis is based on the overlay of forest cover data and perimeters of forest fires during the period (1986–2002). Of the analysed variables, altitude affects most the probability of fire occurrence, with higher proportions of burned forest area at lower altitudes. Stand’s vertical structure is also relevant, with lower proportions of burned area in stands with mature tree cover without understory. The study helps to analyse the strengths and weaknesses of forest and fire management policies, especially those related to forest and fuel management at the landscape level. The authors want to express their gratitude to the Department de Medi Ambient i Habitatge for the data provided about fire statistics and fire perimeter maps. We are also grateful to Mr. Dave Gritten for the linguistic revision of the manuscript. The study is conducted within the MEDFOREX centre coordinated by the CTFC.